What would a travel poster for today’s Lapland look like? This question we would like to present to all Lapland-loving creative minds everywhere in the world. Come to Finland, Arktikum, Grafia, Lapland Hotels, SEK and Visit Rovaniemi are collaborating to find a travel poster for the Finnish Lapland and are therefore announcing My Finland Poster contest. The contest is open to illustrators, graphic designers and artists all over the world – everyone who can paint, draw by hand or use a drawing tool on the computer. The first prize is 2000 euros and a one week holiday for two in the Finnish Lapland. The winner of the 2017 contest was Omar Escalante from Guatemala with his poster ”Take some Finland”. This year’s contest is all about capturing the Finnish Lapland in a poster in an appealing, stylish and preferably humouristic manner – one that awakens a strong fascination and excitement to rush to the Finnish Lapland to experience the breathtaking scenery and the magical atmosphere. The style is completely free. Winter or summer, fall or spring, the Northern Lights or the midnight sun, city life or the wildlife, mountains or mosquitos, modern or vintage-inspired, it can basically be anything. Why a travel poster and why particularly Lapland? Because that’s how it all started. 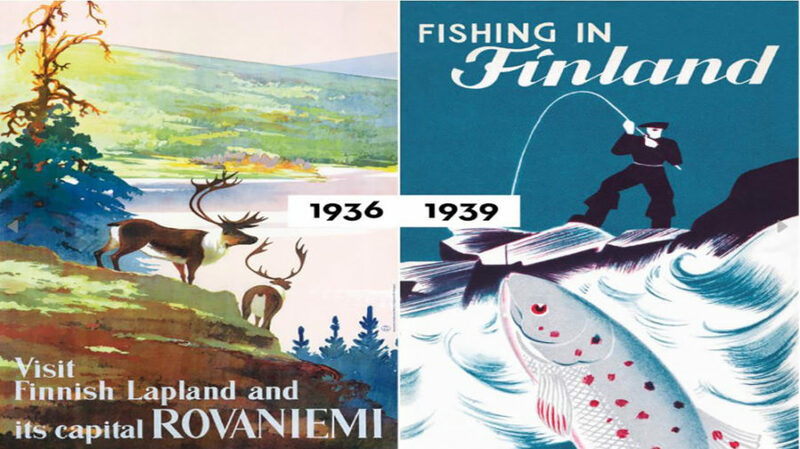 With creative travel posters – in a style which nowadays is called vintage – travellers from both near and far were attracted to Finland. That resulted in stunningly beautiful works of art by Finnish artists, which to this day continue to seduce us. Lapland is at the very centre of Finnish tourism and is Finland’s undisputed main attraction for people from all over the world. Therefore it is only natural that the winner will have a chance to wander off the beaten path or rest in the inspiring surroundings. The contest ends on January 4th, 2018. Come to Finland is a design company and a cultural project focusing on Finnish travel poster art. Apply Now and Live Like A Finn - Rovaniemi's Mayor Is A Happiness Guide in Summer 2019 This summer, Finnish citizens will work as happiness guides and welcome visitors into their homes, showing them how to connect with nature and understand the Finnish art of relaxation. One of the happiness guides is Esko Lotvonen, Mayor of Rovaniemi. Rovaniemi seeks for Summer Ambassadors Summer 2019 will bring influential visitors from all around the world to Rovaniemi – The Official Hometown of Santa Claus® in Finnish Lapland. The application period is open for 15 social media personalities and journalists from all over the world. In the Midnight Sun season 6th June – 7th July, the famous winter holiday destination Rovaniemi invites participants to join the Finnish summer happiness and endless summer nights in the Arctic nature. Sales Fly Over 100 000 – Visit Rovaniemi’s New Online Marketplace Exceeded All Expectations The new activity products marketplace solution is unique in its scale in Finland’s travel business.